Freemasonry of the Rite of Mizraim is an initiatory fraternity whose traditional foundation of faith in a Supreme Power expressed as the "Great Architect of the Universe" or "Great Architect of All Worlds". It relates to the application of the Royal Art. Its principles are summed up in these two maxims: "Know thyself" and "Love your neighbor as yourself." The French Freemasonry has traditionally currencies and / or mixed Cheers revolutionary ternary: FREEDOM ● EQUALITY ● FRATERNITY and / or, at the discretion of the sovereign Venerable Masters of Lodges and Workshops, Egyptian solemn ritual interjection: ● LIFE ● FORCE ● HEALTH. Egyptian called Freemasonry is the heir of the former Masonic Traditions which she kept all the principles wise and refers more generally to the "Old Charges" (Landmarks) fraternity, particularly as to the full observance of specific traditions College, essential to the regularity of the Jurisdiction. The Misraim Rite of Freemasonry is an Order which can belong only men and women admitted to absolute equality, free and respectable who commit to practice an ideal of Peace, Love and Brotherhood. Freemasonry aims and the moral development of its members to that of all humanity. Freemasonry recommends that all Members of regular, accurate and scrupulous Rituals and symbolism, means of access to knowledge in spiritual ways and initiation of its own. 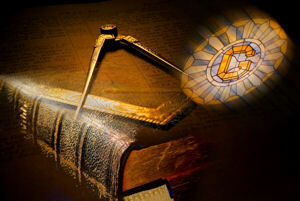 Freemasonry requires all members respect the opinions and beliefs. It prohibited within it any discussion or political or religious controversy. It is thus a permanent center for Fraternal Union where there is a tolerant understanding and fruitful harmony between men and women who, without it, would have remained strangers to each other. The Freemasons of the Rite of Mizraim have currency that recorded in the ancient initiations on the granite pedestal bearing the Sphinx tetramorph: "Knowledge, Will, Dare, be silent"; Which is complemented by the maxim: "Do what you must, come what may." Freemasons take their obligations on a Volume of the Sacred Law to give the Oath on Him the solemn and sacred essential for any sustainability. Volume of the Act is that volume which, by the religion of the country, is known to contain the revealed will of the Grand Architect of All Worlds. Freemasons assemble outside the secular world, in Lodges where they cultivate the love for their fellow men of all nations, submission to the Laws and respect for constituted authorities. They regard work as the primary duty of the human being and honor in all its forms. Freemasons owe each other, in honor, help and fraternal protection, even at the peril of their lives. They practice the art of preserving at all times calm and balance necessary for a perfect self-control and to extend to all members of humanity the links between them. Freemasons contribute through the active example of their wise and dignified behavior radiation of the Order respecting the Masonic secret. The Freemasons of the Rite of Mizraim, respect Traditional Principles of Freemasonry and admit the existence of other Rites working like him for the accomplishment of the Great Work. Great World Lodge is a Masonic Misraïm Independent and Sovereign Power. She has only Charter filiation & Patente recognized in the international Masonic Order and exercises exclusive jurisdiction and undivided, making it the Rite of Mizraim Official Power in the world.